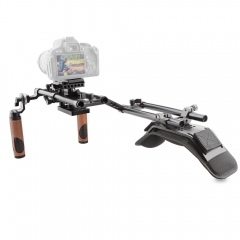 • This CAMVATE Shoulder Mount Rig features to improve the stability of your handheld shots by adding a shoulder pad and a single rubber handgrip to your camera setup. 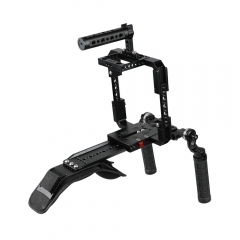 Whether you're shooting with small HDSLR cameras or larger camcorders, it provides the balance, comfort and versatility to fit your needs. 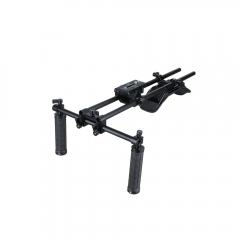 • It’s equipped with a Manfrotto Quick Release baseplate to secure a camera or a cage kit, it enables fast switching between different devices without replacing the quick release assembly. 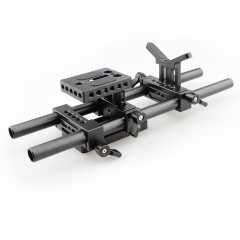 Under the QR plate comes with 1/4"-20 & 3/8"-16 mounting points for a standard tripod attached. 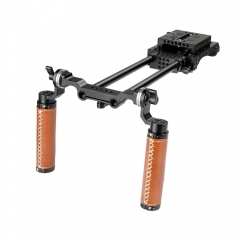 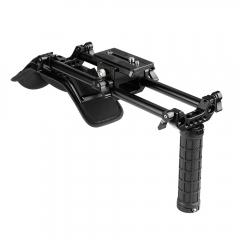 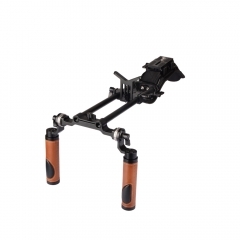 • The included rubber handgrip delivers convenience for holding and keeping the shoulder rig balanced. 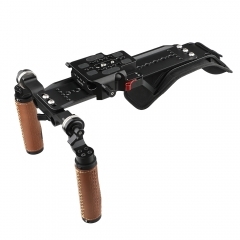 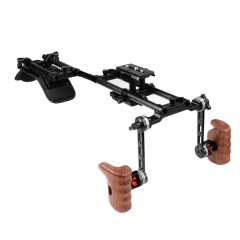 You could also attach any standard 15mm rod mount to add articulating arms, external monitors, batteries, recorders, and other external accessories to your rig.